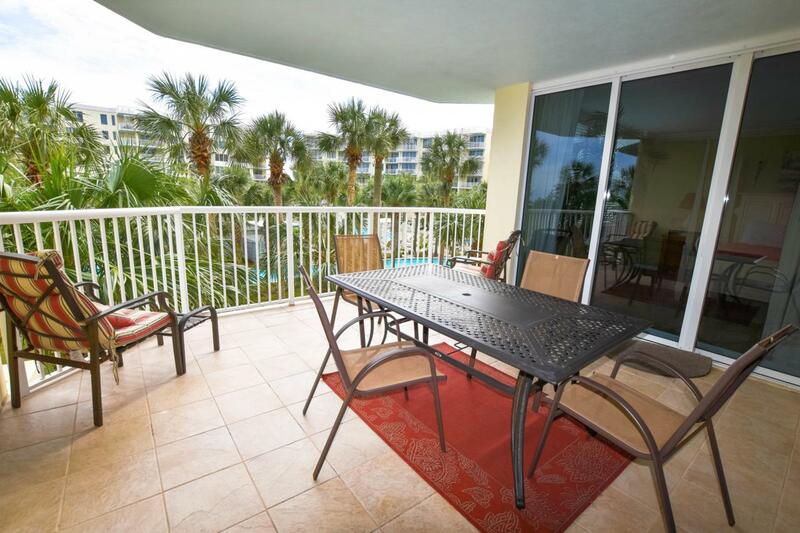 Take in the serene views of the Bay from your private balcony. Enjoy the lazy river pool or take a short stroll to the beach. Plenty of fun for the whole family or take advantage of the busy summer rental season. Furnished ( except for a lamp and a picture) and move in ready. Destin West is a premier destination with many great amenities including several pools (some seasonally heated) fitness center, and grills for cooking out. Boat slips are available for purchase at an additional cost. Lots of great attractions close by. Buyer to verify all information. Buyer to honor rentals on the books at closing. Contents of the owners closet not included in the sale.